On 2 May 2016, the remodelling in order to construct one of the most technically state-of-the-art exhibition centres in Germany has begun. We are creating a new sense of well-being on the exhibition grounds with open, functional architecture. 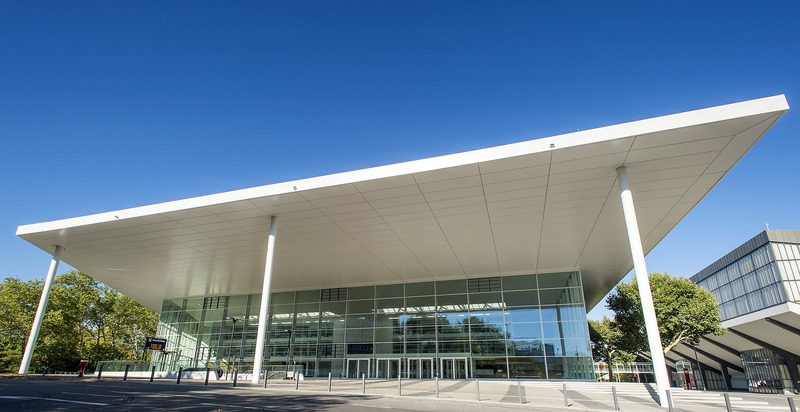 Short distances, eight large-scale, single-storey buildings and lots of daylight will provide the ideal exhibition conditions. 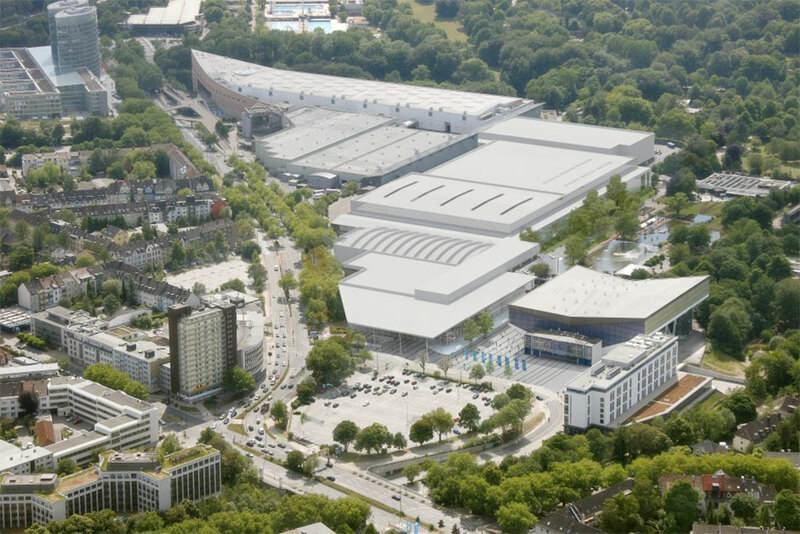 The new face of MESSE ESSEN will be visible at the Trade Fair Centre East Gate after the first development phase: the 2,000 m² glass foyer with striking canopy. It forms the new east entrance area and is perfectly linked to the underground station to keep visitors dry. 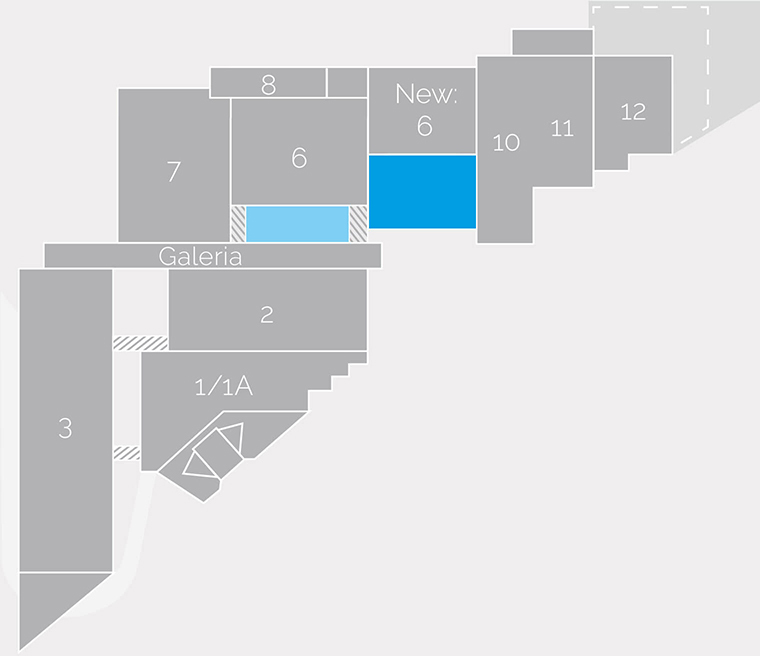 At the same time, halls 9.0 and 9.1 will be taken down and the northern half of the future hall 6 will be built in their place. In the second development phase, halls 4, 4A and 5 will be completely taken down. 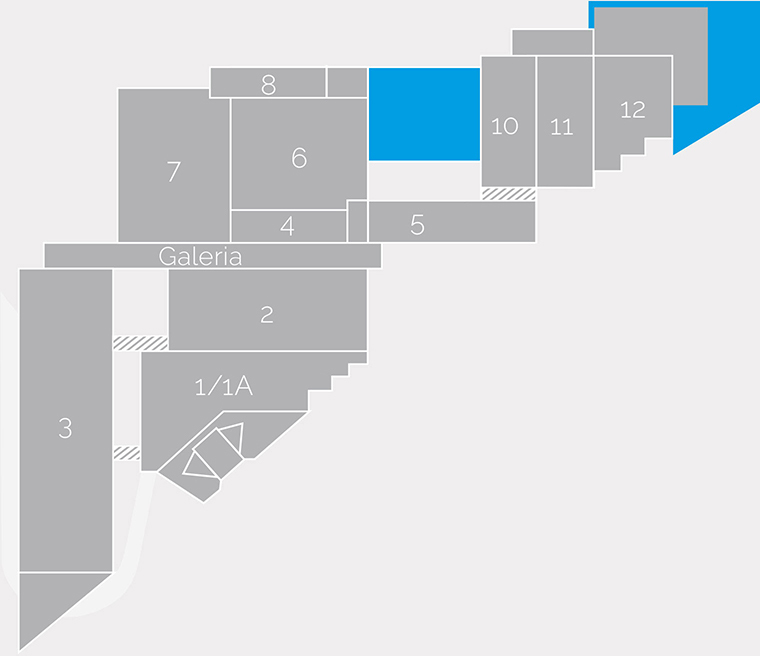 The southern half of the new hall 6 and a new logistics area adjoining the Galeria will be built in their place. Not visible from the outside, the old halls in the northern section will also be redeveloped. In the southern part of the new hall 6 will be a transparent lounge with a communicative atmosphere and the new service centre, where all MESSE ESSEN services will be concentrated in one central, exhibitor-friendly place. In the third development phase, halls 7.1, 8.0, 8.1 and the rest of halls 9.0 and 9.1 will be taken down. The modernised hall 4 and the new northern section of the future hall 5 will be built here. The newly developed hall areas and the modernised existing halls will be fitted with the latest air conditioning units, sanitary facilities and lighting systems. 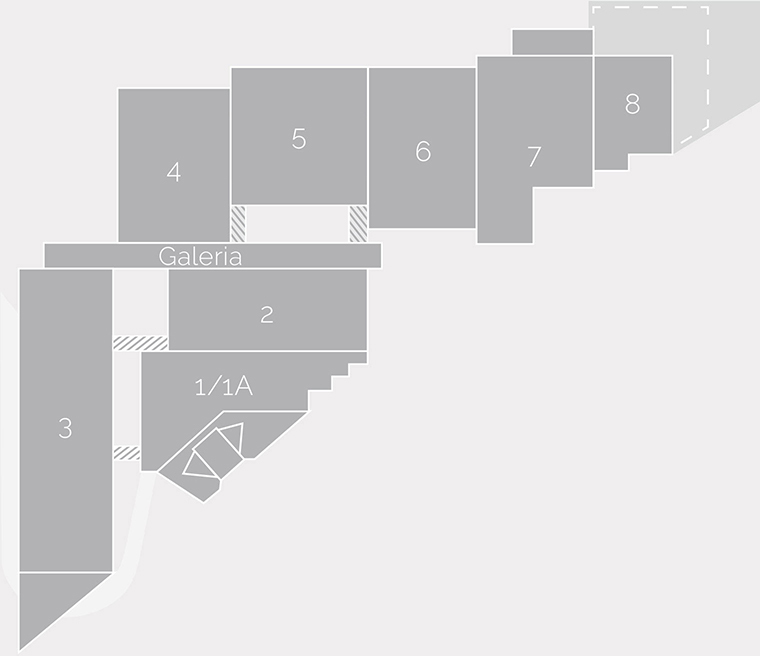 The new, clear hall numbering system is used since summer 2018. In the final development phase, the new section of hall 5 will be completed. As a result, the new exhibition centre will also display its architecturally strong, clear lines to the neighbouring Grugapark. Window openings in the façade also create a direct visual connection to the park. 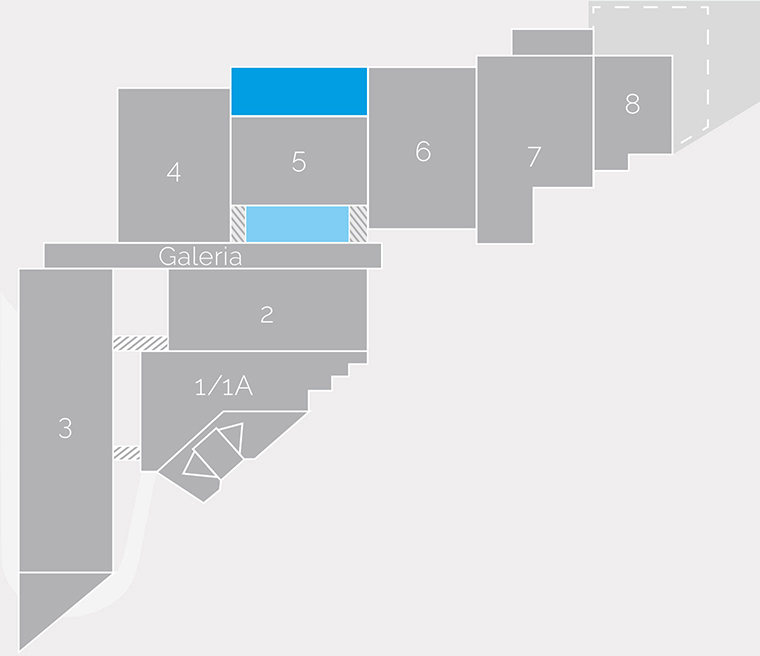 At the end of the development work, the northern section of the exhibition centre will have the five halls (4 to 8), which will be significantly bigger, better connected and more clearly structured. The new exhibition centre will have more space, better links and a coherent look.